Chorley's latest micropub opens in December 2016 in Buckshaw Village. 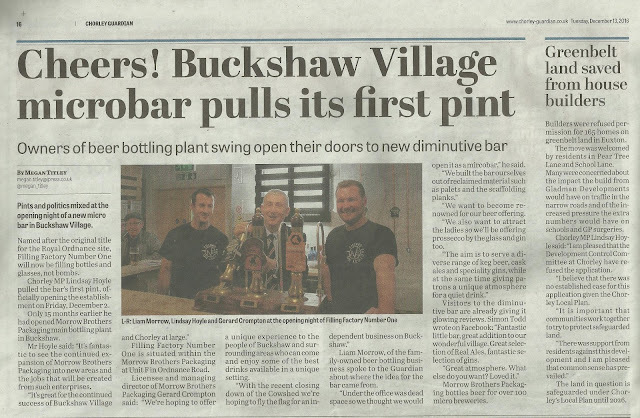 Chorley has seen something of a revolution in the last 2 years with the emergence of a number of micro pubs across the area including Shepherds' Hall Ale House, the Ale Station and Bootleggers with seemingly, more on the way. Do you by any chance know the opening hours?